Can you find the circumference using the diameter or radius??? Move the blue point to create a new circumference.. 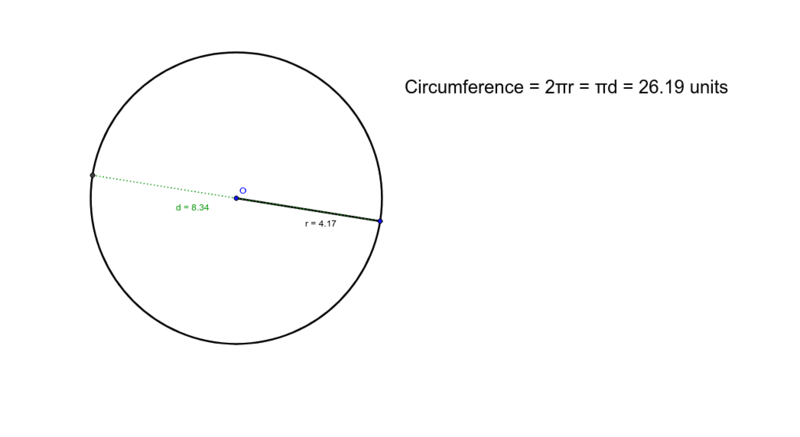 Explore the different sizes of the Radias, Diameter and circumference of the circle.